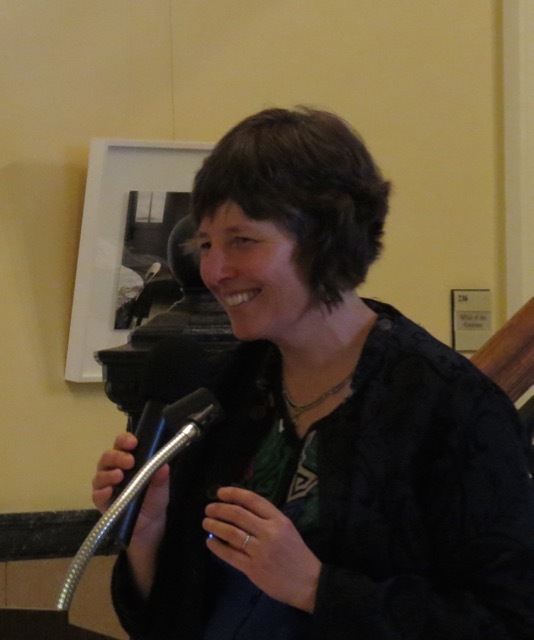 The first Monday in June is designated Samantha Smith Day in Maine. 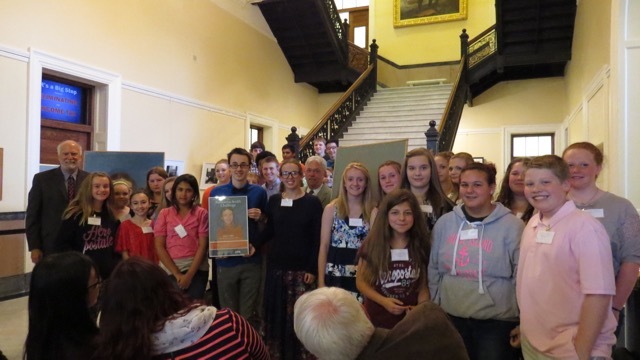 This year the first annual Samantha Smith Challenge celebration was held in the Hall of Flags at the Maine State House on Samantha Smith Day. 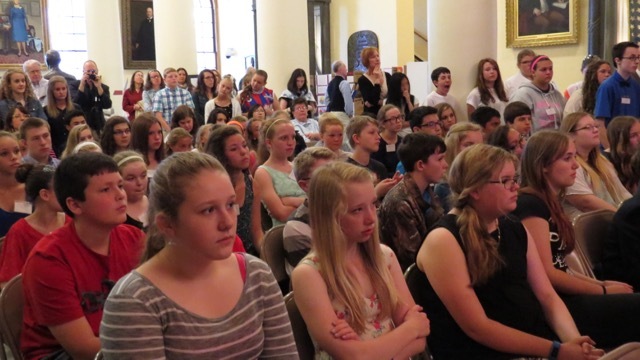 Over 500 students from across Maine accepted the challenge put forth by American Who Tell the Truth and the Maine Association for Middle Level Education to choose a problem in their community, state, country or the world that they would like to address and help solve. King Middle School sets up their project. 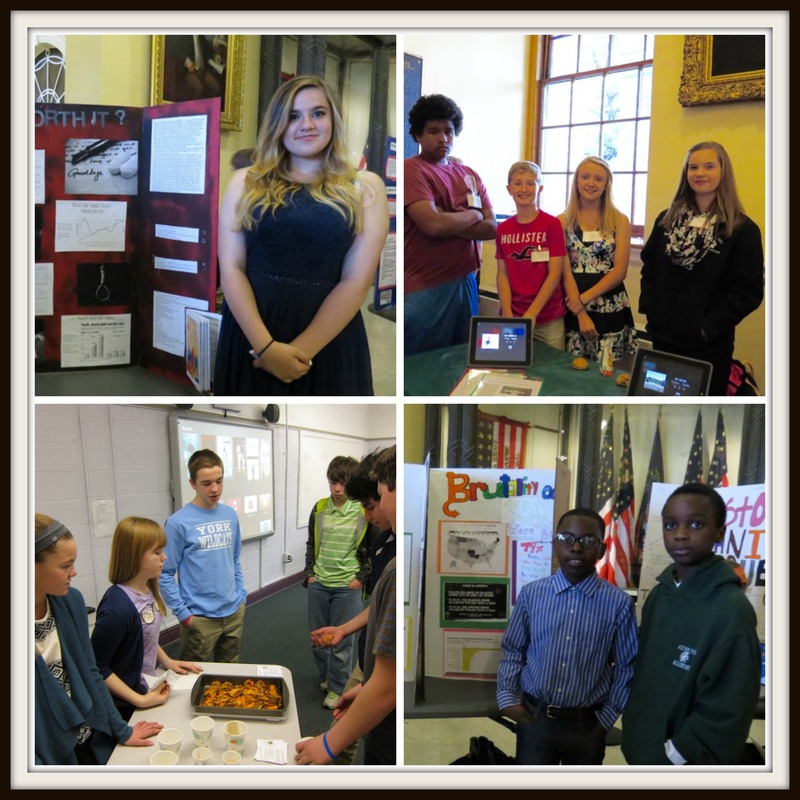 The Hall of Flags began to pulse with energy as students poured into the room to set up their projects. 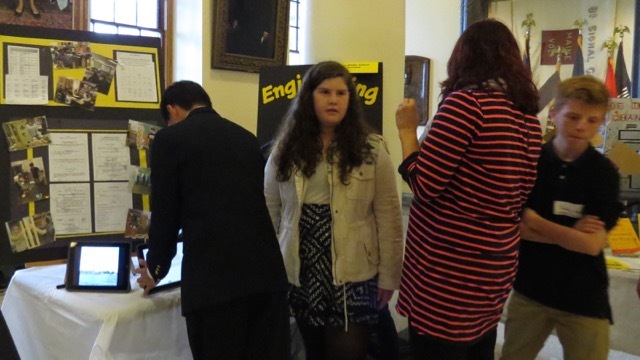 Posterboards, trifolds, iPads, laptops, and oil paintings appeared and transformed the Hall into a showcase of student curiosity, hard work, research skills, and commitment to addressing troublesome issues. 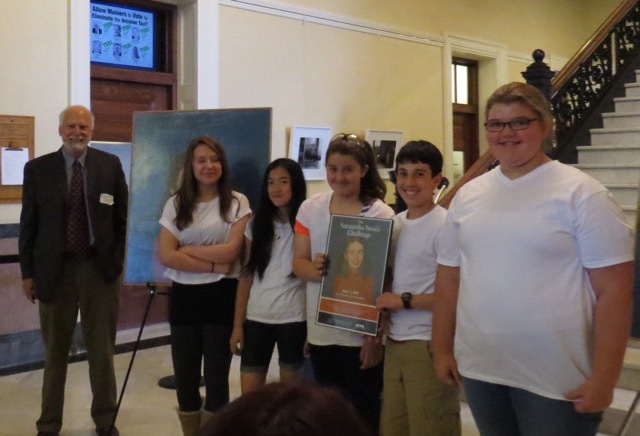 These students tackled a myriad of topics: underage drinking, animal abuse, poverty, homelessness, mental illness, cyberbullying, suicide, and harmful bacteria lurking right under our noses. 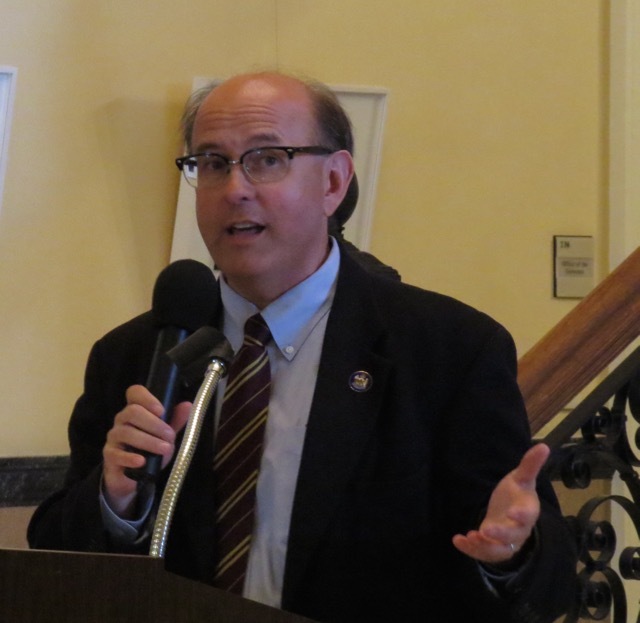 A variety of distinguished visitors shared with students their stories related to becoming an active participant in addressing the problems of our communities–near and far. Dr. Nancy Doda, 2014 MAMLE Annual Conference keynoter and Brazee Award honoree, guided the festivities and introduced the honored guests. 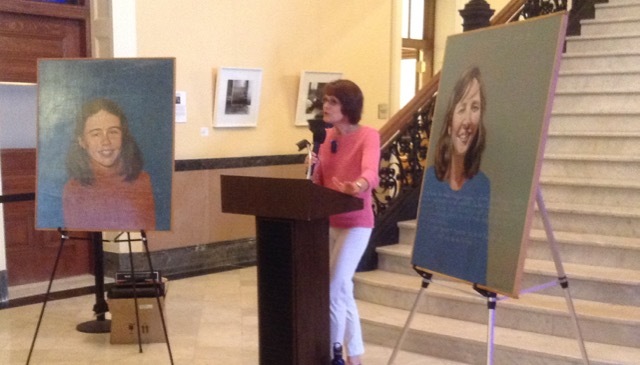 Jane Smith, the mother of Samantha, congratulated students and reflected upon her daughter’s legacy to the world. 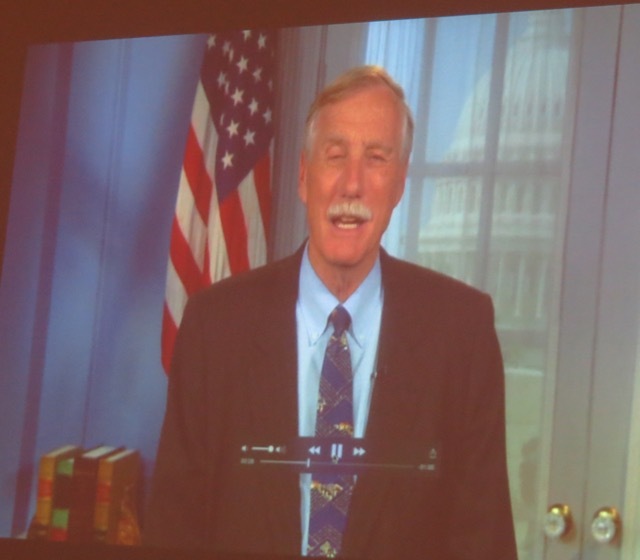 Former Maine legislator Elizabeth McTaggert introduced Senator Angus King who addressed the students via a video message. 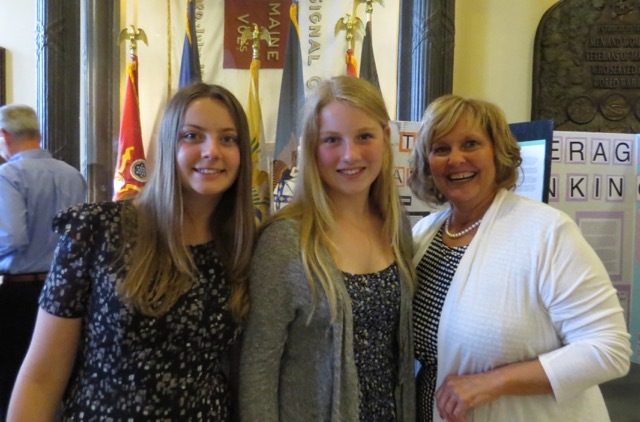 Maine’s First Lady Ann LePage chatted with students and helped put into context the world in which Samantha Smith lived–the Cold War era. 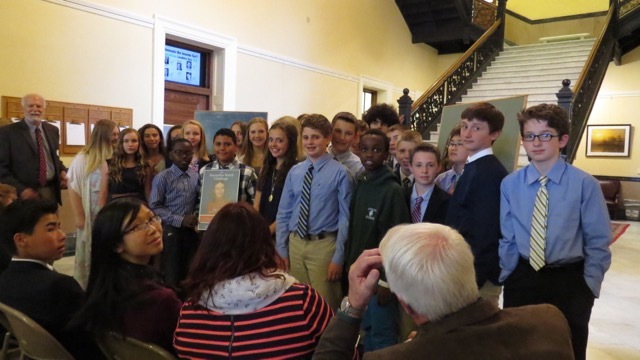 Ann Lepage chats with students from Lyman Moore Middle School. 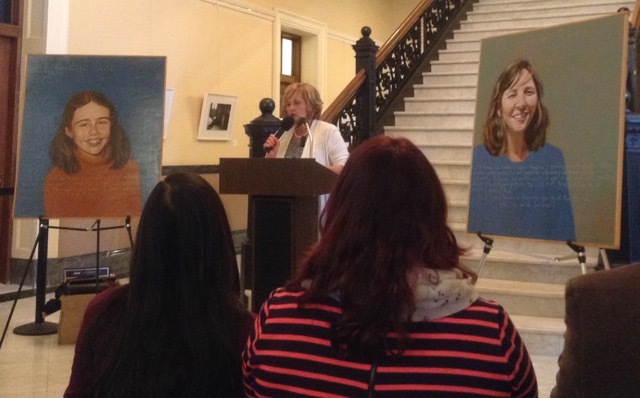 Ann LePage addresses the students who participated in the Samantha Smith Challenge. 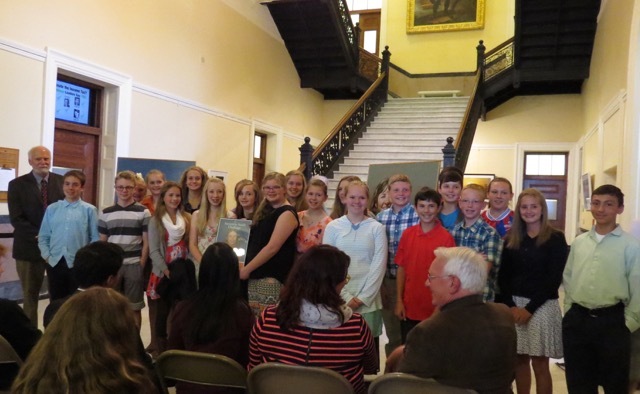 Maine Secretary of State Matthew Dunlap shared why his family moved to Maine during the Cold War and congratulated students for becoming involved with important issues in their community. The Hall of Flags was packed! 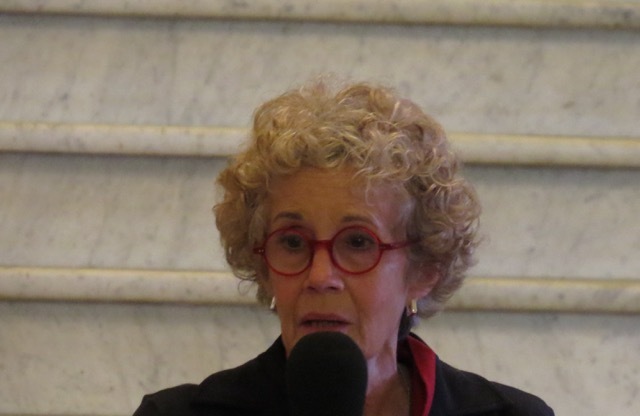 Florence Reed, the founder of Sustainable Harvest International, shared how she was on a similar journey to the students to address real issues that affect communities and possibly the world at large. 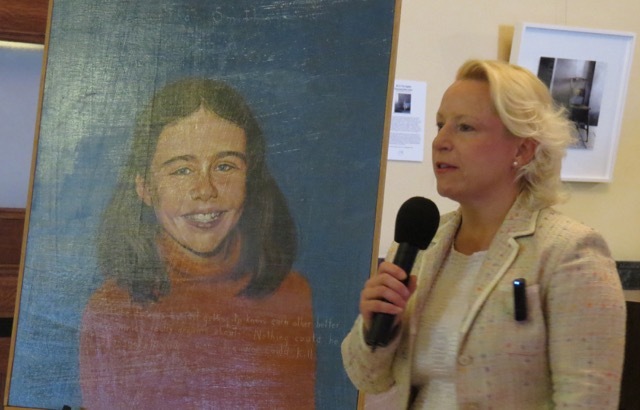 The morning ended with each school receiving from Robert Shetterly of Americans Who Tell the Truth a poster of his painting of Samantha Smith. The teachers were also honored and received a thundering round of applause from their students. Lessons learned by participating in this type of project—quotes from the students. This entry was posted in Curriculum and Instruction, Engaged learning, Good teaching, Project learning, Young adolescents and tagged Samantha Smith Challenge, Service Learning. Bookmark the permalink. Thank you Joyce for your kind comments. It was truly an awesome day showcasing the wonderful work students can do when given a chance. It was the brainchild of Connie Carter and Robert Shetterly of Americans Who Tell the Truth. MAMLE was delighted to partner with them to bring the idea to fruition. I will make sure Connie sees this comment and pass along your name and email.